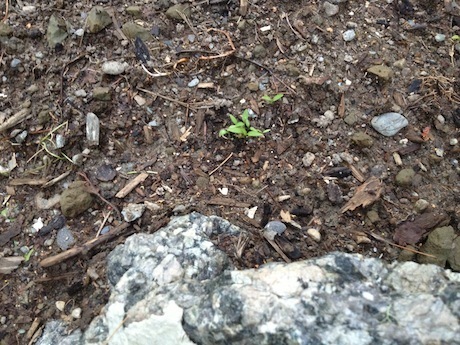 Parsley just poking up through soil. Since Parsley is biennial, it’s a good herb to plant in the fall, especially if you have space dedicated to herbs. 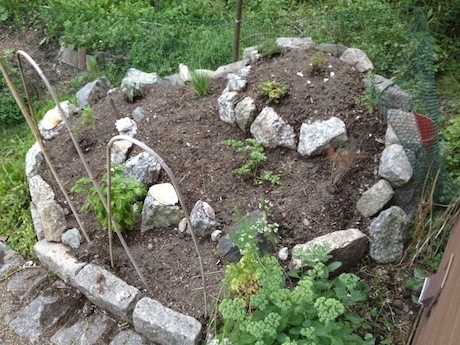 I transplanted mine to my herb spiral–which I renovated this year. 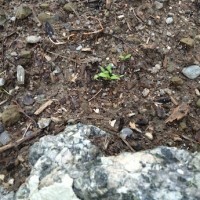 It’s a slow grower, so even after transplant into compost rich soil, it’s taking its time. 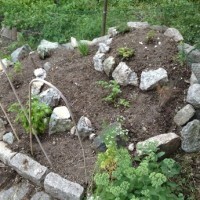 The benefit should be parsley popping up in the spring.